President Trump expresses satisfaction following Netanyahu's victory, while many Democrats openly backed his challenger. 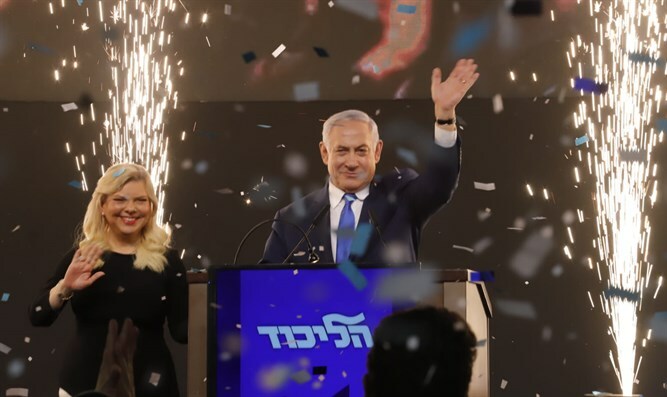 Binyamin Netanyahu’s re-election Tuesday as the prime minister of Israel brought to a boil the simmering divides among Republicans and Democrats over the longtime leader’s nation. Netanyahu’s election-eve pledge to extend Israeli law to Jewish settlements in Judea and Samaria is at the core of explicit Democratic distaste for Netanyahu. At least five Democratic presidential candidates spoke out against Netanyahu after he made the pledge over the weekend, including two seen as close to pro-Israel groups: Sen. Amy Klobuchar, D-Minn., and Pete Buttigieg, the mayor of South Bend, Indiana. Some of the same candidates also spoke out against Netanyahu’s support for the Jewish Home's election alliance with Otzma Yehudit. Another decision Trump and his team took in Netanyahu’s favor ahead of the election: It delayed releasing the peace plan drafted by Trump’s son-in-law, Jared Kushner; his top Middle East negotiator, Jason Greenblatt; and his ambassador to Israel, David Friedman. Any concessions in the plan might have been used by parties to the right of Netanyahu’s Likud to portray the prime minister as soft on Israel’s claims to Judea and Samaria. One of Netanyahu’s most emphatic vows has been to keep Jerusalem united. Trump’s plan, reports have said, accommodates Palestinian Authority claims to some suburbs of Jerusalem, although team members have rejected those reports as speculative. Less speculative is the prospect that the plan envisions Israel maintaining security control of Judea and Samaria, an outcome that would at least mitigate, if not negate, full statehood for the Palestinian Authority.